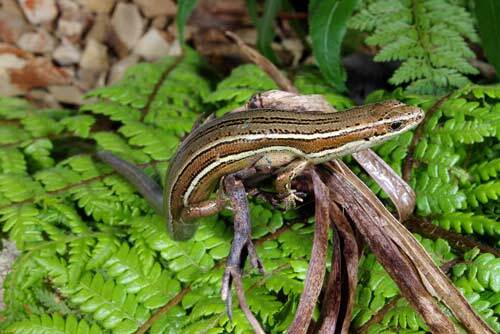 Like most native skinks, the moko skink (Oligosoma moco) does not lay eggs but gives birth to live young. This appears to be an adaptation to living in a cool climate, where life is marginal for reptiles. It is likely that around 16 million years ago, during the early Miocene period, New Zealand had a more diverse reptile fauna due to its warmer climate. As temperatures cooled life became more difficult for reptiles, and those that survived have done so by adapting. Some scientists believe that skinks have been present since New Zealand broke away from Gondwana. Others think they arrived around 30 million years ago.